Washington: US President Donald Trump’s administration has revealed a plan to block visas and green cards for immigrants to come to or stay in the the country if they or their family use certain public benefits. The proposed rule announced by the Department of Homeland Security (DHS) on Saturday could make immigrants seeking to enter the US ineligible for visas or green cards if they are deemed likely to receive certain public benefits once they come to the country, reports CNN. Immigrants could also be denied a change in legal status once in the US if they received or are likely in the future to use public benefits, such as public housing and food stamps equivalent to a certain monetary threshold. The rule is a vast expansion of existing interpretations of what is considered a “public charge”, or someone dependent or likely to become dependent on government. If the rule survives widely expected legal changes, it could mark a sea change that allows far more immigrants to be rejected from the US or force them to choose to forgo benefits that they or family members would otherwise be eligible to receive. “Under long-standing federal law, those seeking to immigrate to the US must show they can support themselves financially,” DHS Secretary Kirstjen Nielsen said. 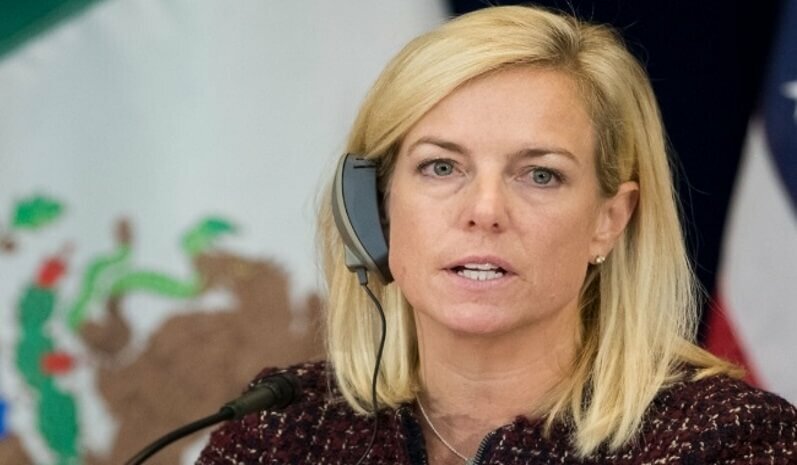 “This proposed rule will implement a law passed by Congress intended to promote immigrant self-sufficiency and protect finite resources by ensuring that they are not likely to become burdens on American taxpayers,” Nielsen said. Once the rule is formally published in the Federal Register, it will kick off a public comment period for Americans and interest groups to submit feedback, CNN said. The DHS will, by law, have to review those comments before finalising the regulation. Advocacy groups are also widely expected to try to challenge the rule in court.